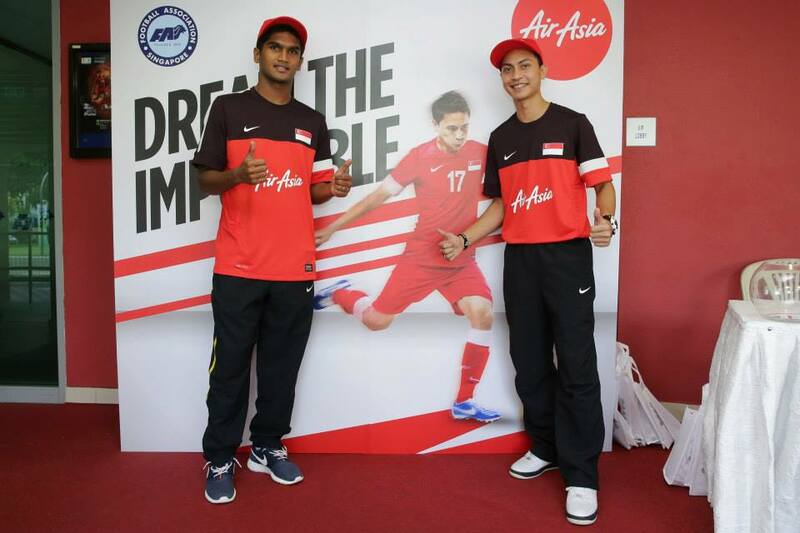 In a press conference held this afternoon at the Jalan Besar Stadium, the Football Association of Singapore (FAS) and Air Asia, world’s best low cost carrier, announced a three-year sponsorship worth $1.8 million. According to the joint media release that was issued following the event, the sponsorship includes flights for the Under-21, Under-23 and the senior national teams, National Football Academy (NFA) age-group teams and women’s team. "The partnership with FAS is set to provide the necessary support to the association to garner further success and raise footballing standards for all levels." as mentioned in the same release that spelt out the objective of the three-year partnership. 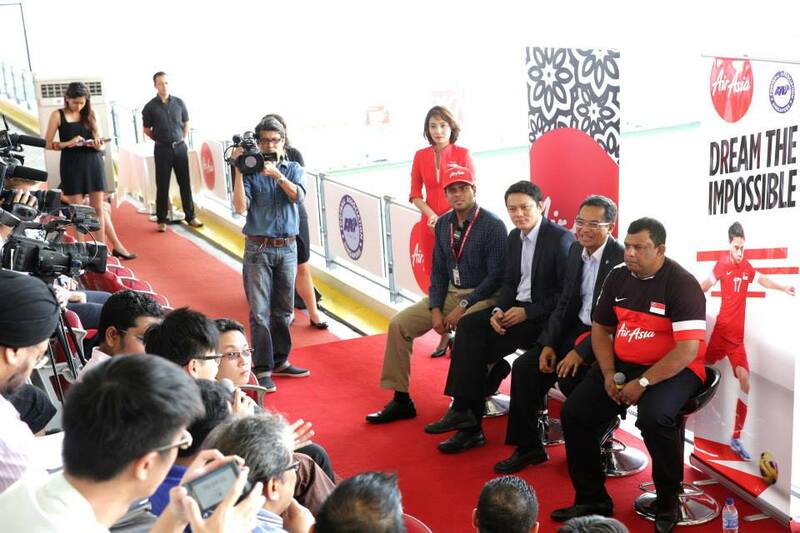 Gracing the occasion were AirAsia Group CEO Tan Sri Dr Tony Fernandes and Mr Zainudin Nordin, the FAS president with the agreement inked by both gentlemen in the presence of the media and other guests. Said Tan Sri Dr Fernandes in the release:“Sports sponsorship is a part of our ongoing commitment to nurture young talents and provide a platform for them to excel globally, and this sponsorship programme with the Football Association of Singapore is a perfect opportunity for us to demonstrate that dedication. It is not impossible to be the best in the world." FAS president Mr Zainudin Nordin expressed his delight at the new deal. He said: “This announcement represents a key landmark for the FAS, and we are absolutely thrilled to have concluded an agreement with an organisation of AirAsia’s caliber and reputation. We are really thankful to Tan Sri Tony Fernandes and AirAsia for their staunch support of football and we are looking forward to working closely with them to further promote the sport in the coming years." The sponsorship agreement takes effect from 1st June 2013 to 31st May 2016 and made the budget carrier the second Malaysian corporate entity to link up with local football after RHB Bank, who has been the title sponsor for the ongoing RHB Singapore Cup. To mark the occasion, Air Asia is offering SGD 0* base fare to all its seven destinations in Indonesia, namely Bali, Bandung, Jakarta, Medan, Makassar, Semarang and Surabaya. The promotion is available for booking now till 28 July 2013, for travel from 20 August to 10 November 2013.